Dogged by controversy due to the recent allegations surrounding the once-attached Kevin Spacey – hastily replaced over seven weeks of intensive re-shoots by Christopher Plummer – Ridley Scott’s All the Money in the World wins points for technical ingenuity but gradually reveals itself to be an otherwise pedestrian, by-the-numbers kidnap drama. Based on true events – though with a hefty degree of dramatic license – the film revolves around American multi-billionaire J.P. Getty (Plummer), an oil tycoon who over the years has detached himself from any form of familial bonds in order to build an empire. Reconnecting years later with his estranged son (Broadchurch’s Andrew Buchan), his wife Gail (Michelle Williams) and their son Paul (Charlie Shotwell as the younger incarnation, Charlie Plummer as the kidnapped model), Getty offers his offspring a role in the family business. Unfortunately, over the years his son’s substance abuse gets out of control and a now 16-year-old Paul is taken by masked men during a vacation in Rome. A self-made man who delights in getting the best possible deal out of any scenario, Getty tells the following press pack that he values his grandchild at precisely “nothing”, provoking an angry Gail to confront her stepfather over his apparent lack of humanity. For whatever reason – either out of some semblance of unlikely emotional connection or perhaps simply boredom – Getty brings in his top negotiator Fletcher Chase (a miscast Mark Wahlberg) to find Paul and neutralise Gail’s insistence that Getty pay the $17 million ransom fee. An interesting set-up, then, but one that never truly bears the fruits of its well-publicised labour. Scott has shown on numerous occasions that he can fly through a meaty narrative with great efficiency – and some directorial panache – yet here he seems to have stumbled on a subject too earthbound to co-exist with his recent extraterrestrial dalliances: Prometheus, The Martian and Alien: Covenant. 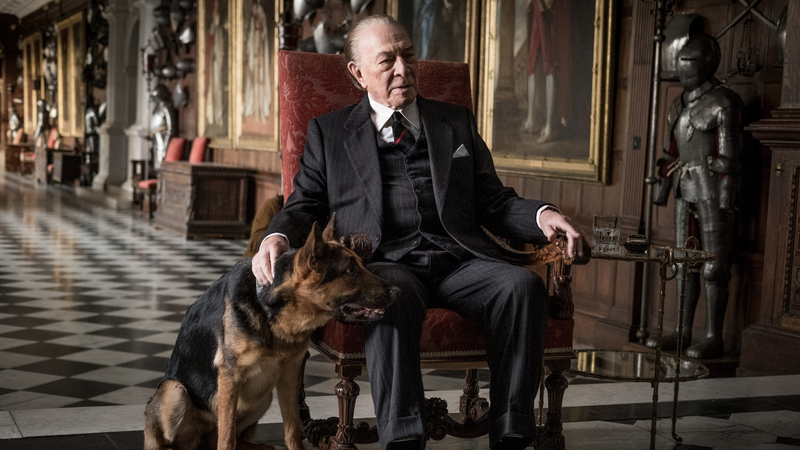 His actors are game – particularly Plummer, who looks far more comfortable as Getty than the prosthetic-laden Spacey ever did – but as All the Money in the World chugs along there are precious few moments of either intrigue or suspense to rally around. All the Money in the World’s biggest misstep may well be a side-plot involving one of Paul Getty III’s original captors, the self-styled “Cinquanta” (French actor Romain Duris, here sporting an entirely unconvincing, unwashed Italian drawl). More Steptoe than sinister, this Stockholm Syndrome-querying side story adds little other than a neat set-piece involving a pen, a flame and some dry grass, and some unintentional moments of humour as Duris muddles through his English dialogue. A fine actor, sadly given short shrift in a sub-par Ridley Scott outing that’s unlikely to live long in the memory – Spacey or no Spacey.